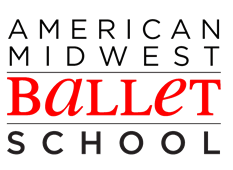 Welcome to American Midwest Ballet School! Please complete the following registration form. Families and students please provide your information below and click Submit when complete. Credit cards will be charged for the registration fee at this time. All enrollments are considered pending until we have reviewed your registration and posted any fees due. Applicable discounts will also be applied at that time. ACADEMY DIVISION STUDENTS: Will need to contact the office or email school@amballet.org to enroll in classes. Academy classes are not available to register online. COMMUNITY DIVISION STUDENTS: "Select Class" below to view, select and register for available classes. - TUITION IS NON-REFUNDABLE AT ANY TIME. If a dancer moves more than 50 miles away from the school, or if the dancer is stricken with a major injury or illness, tuition may be refunded if AMB is presented with a current lease or utility bill showing name and address and/or a signed doctor's note respectively. - AMB does not prorate tuition for any reason, except newly enrolled students joining in the middle of a month. - All credits and/or overpayments expire on the last day of the regular school year. - Tuition and late fees will be charged until an official drop notice is received from the dancer. - Classes may be added at any time; however; classes may only be dropped at the end of the month. - NO TUITION WILL BE REFUNDED FOR CLASSES DROPPED IN THE MIDDLE OF A MONTH. - A $5.00 Schedule Change Fee will be charged per occurrence when altering a student's class schedule. 1 (one) free schedule change is allotted for each student per school year. No Schedule Change Fees will be charged for the month of September or the 1st month in which a new student has joined the school. - All tuition, fees and Showcase Fees must be paid in full in order for dancers to participate in the Showcase performances. - A Costume Balance must be paid in full before AMB will order a costume. Costume Balances of $200 or more can be split into 3 payments upon signing the Costume Payment Plan Agreement. - Costume fees are not refundable for any reason. - It is your responsibility to try on your costume(s) immediately upon receipt. If there is a discrepancy in sizing, you must report back to AMB within 7 days of receipt of your costume. After 7 days, the cost of reordering a costume and its applicable shipping fees will be the student's responsibility. - Make-up classes are offered as a courtesy to students with monthly accounts only. - If a student drops a class, any make-up classes accrued through absences in that class will be cancelled. - Students are not permitted to take make-up classes in a class that they have dropped from their schedule within that school year. - You must remain enrolled and be actively paying tuition in order to redeem make-up classes. - Make-up classes are not offered for weather cancellations or for school closings/vacations. - Make-up classes must be redeemed before the last day of classes for each calendar school year. - I understand that American Midwest Ballet School reserves the right to change the class schedule or faculty as necessary, including cancelling a class that does not have a sufficient number of students enrolled. - Students should not be dropped off more than 30 minutes before the start of classes. In this instance, as well as during breaks between classes, AMB is not responsible for the supervision of the student. This is the parent's responsibility. - A signed and dated written note is required of any student leaving the AMB premises without being accompanied by a parent or guardian. - It is the responsibility of the parent/guardian to maintain the appropriate behavior of the student and any other siblings or family guests before, during, and after class to ensure everyone's safety and to maintain the premises in proper condition. - Students taking the last class of the day/evening who are not picked-up on time or within 15 minutes of the end of class may be charged a $35 late fee. It is our desire to keep you informed of important information. Our primary means to do so are via email and through postings on the studio bulletin boards. Please take time to check your email frequently and read flyers or notices posted in the studio. We will do our best to provide timely and accurate information; it is your responsibility to make yourself available to that information. Please provide the email address that you would like information sent to in the above registration form. The undersigned, on his or her own behalf as a participant or otherwise and on behalf of any minor children participating in American Midwest Ballet ("AMB") classes or other activities (each, a "Participant") of whom the undersigned is a parent or other legal guardian, and in consideration of each such Participant's ability to participate in such classes or activities, agrees to and acknowledges the following discharges, releases, disclosures, terms and covenants with respect to such participation. Each Participant hereby consents to any and all uses and displays, by AMB and its agents, of Participant's name, voice, likeness, image, appearance, and biographical information in, or in connection with any pictures, programs, photographs, audio and video recordings, digital images, billboards, posters, social media accounts, websites, television programs, radio programs, advertising, and other advertising, sales and marketing brochures, AMB archives, AMB choreography, AMB training or rehearsals, books, magazines, other publications, banners, marquees, CDs, DVDs, tapes, and all other printed and electronic forms and media throughout the world, at any time during or after the period of the Participant's participation in AMB classes or other activities, for all legitimate business purposes of AMB as determined by AMB ("Permitted Uses"). Participant, on behalf of Participant and his or her successors and heirs, hereby forever releases and discharges AMB and its directors, officers, employees, volunteers, agents, contractors and representatives from any and all claims, actions, damages, losses, costs, expenses and liability of any kind, arising under any legal or equitable theory whatsoever at any time during or after the period of his or her participation in AMB classes or activities, in connection with any Permitted Use. Each Participant hereby agrees, acknowledges and represents to AMB as of the date of signature below that each such Participant has no illnesses, abnormalities or impairments, physical or otherwise, which would prevent full participation in dance classes and activities, except those specifically listed in comments field below. Each Participant hereby assumes the risk and full responsibility for bodily injury, illness, exacerbation of existing illness or injury, or death of such Participant that may occur while he or she is participating in dance classes or other programs or activities of AMB due to any known or unknown illnesses, abnormalities or impairments or exacerbations of the same, of such Participant. IN CONSIDERATION OF THE OPPORTUNITY TO PARTICIPATE IN AMB ACTIVITIES AND CLASSES, EACH PARTICIPANT HEREBY RELEASES, COVENANTS NOT TO SUE, AND WILL HOLD HARMLESS AMB AND ALL OF ITS OFFICERS, EMPLOYEES, DIRECTORS, VOLUNTEERS, DANCERS, CONTRACTORS, AGENTS AND REPRESENTATIVES (EACH "RELEASED PERSON") WITH RESPECT TO ANY AND ALL LIABILITY ACTIONS, CAUSES OF ACTION, DEBTS, LOSSES, DAMAGES, CLAIMS AND DEMANDS OF EVERY KIND OR NATURE ARISING FROM OR RELATED TO THE NEGLIGENT ACT OR OMISSION OF PARTICIPANT OR A RELEASED PERSON, WHICH THE PARTICIPANT NOW HAS OR WHICH MAY ARISE OUT OF, OR IN CONNECTION WITH, THE PARTICIPANT'S PARTICIPATION IN AMB CLASSES, PROGRAMS OR ACTIVITIES, INCLUDING WITH RESPECT TO BODILY INJURY, ILLNESS, EXACERBATION OF INJURY OR ILLNESS, LOSS OF CONSORTIUM/SUPPORT OR THE LIKE, LOSS OR DAMAGE OF PERSONAL PROPERTY, OR DEATH. Each Participant agrees that this release of liability is intended to be as broad and inclusive as permitted by applicable law, and that if any portion of this release is later held invalid by a court of competent jurisdiction, that the remaining provisions shall, notwithstanding, continue in full legal force and effect to the greatest extent permitted by applicable law. Each Participant further acknowledges and agrees that he or she is solely responsible for the safeguarding of his or her personal property that he or she brings to AMB activities, programs or classes, and that, except with respect to the intentional and wrongful act of a Released Person, AMB is not responsible for any loss or damage of such personal property that may occur during or as a consequence of participation in any AMB activities, programs or classes. Each Participant authorizes any representative of AMB to have the Participant treated in any medical emergency during their participation in AMB activities. Further, each Participant agrees to pay all costs associated with medical care and transportation for the Participant. Each Participant has had any questions about the terms and provisions of this release answered to his or her satisfaction by the appropriate staff of AMB and has had an adequate opportunity to discuss the consequences of this release with independent legal counsel of his or her choosing. - Monthly tuition is due in advance on the first day of the month. After the 7th day of the month, a $15.00 late fee will be charged to the account and will recur monthly until tuition is paid in full (regardless of absence). - A $35.00 charge is applied to all returned checks or notices of insufficient funds. - Dancers having two (2) or more months outstanding tuition will not be permitted to take class. - AMB does not send invoices. - Unsuccessful autopay: will attempt to run card on file once a day for 5 days. If unsuccessful a $15 decline fee will be charged. - All non-autopay accounts that make payments by credit card will accrue a 4% charge. Debit card, check, or cash payments will not accrue the 4% charge. - Non-autopay accounts will incur a one-time processing fee of $30.00 per student annually. Autopay accounts are offered with no additional processing fees. After review of your registration form is complete your credit card will be charged for the appropriate registration fees. The online registration is $20.80 for single registration and $31.20 for family registration. There is no registration fee for Summer Classes and Camps however payment is required in full at the time of registration and will be applied to your credit card. I have read carefully and understand AMB student policies, rules, regulations, and dress codes outlined above and in the AMB school handbook. I am aware of and hereby agree to abide by all of the covenants, disclosures, acknowledgements, terms, agreements, disclosures, and releases above with respect to and on behalf of myself as a Participant, parent or legal guardian, and with respect to and on behalf of the minor Participants of which I am the parent or legal guardian.